I am not sure that I can remember a tournament – on paper, before it happens – quite like the Fast Plastic Texas Open. We are just days away from the event and I am still not quite sure what to expect. Fast Plastic’s return to the tournament hosting business takes place this Saturday, October 21st, in Frisco, Texas just outside of Dallas. Fifteen teams are expected to compete with the winner going home with a cool $5,000 in cash. That is unless Freaky Franchise – the lone NWLA representative in the field – happens to win in which case they will return home to Rochester, New York $10,000 richer. The rules are essentially what we came to expect from Fast Plastic during its heyday a decade earlier which means no pitching restrictions, no base running, and a three-man defensive alignment, among other things. The cash is certainly unusual. The amount of dough – especially when it is entirely sponsored driven and independent of entry fees – is virtually unprecedented. However, what really makes this tournament unlike any other tournament I can remember is the composition of the field. Make no mistake about it, the tournament field – especially when you dive below the surface of the often unfamiliar team names to get to the players – is loaded with big name talent. There are heroes of Fast Plastic past including the DeRoche brothers, Jim Balian, Josh Pagano, Billy Owens, Danny Lanigan, and Randy Dalbey, among others. There are players who built impressive legacies in the post-FP environment in Golden Stick including Ed Packer, David “Road Toast” Woods and Rob Longiaru. Some of the current starts of Palisades – including Jordan Robles and Anthony Didio – will be on the field in Frisco. The future of the game will be further represented through the participation of up-and-comers such as Will Marshall and Ben Stant. There are several former National Champions among this group. It is not an exaggeration to state that 80% or more of the players involved come into the tournament with a major accolade tied to their name. In that regard, it is a very impressive field. What makes the field a bit of a mystery is that many of these players formed their resumes years ago during the Fast Plastic years and/or in the immediate aftermath. That is to say, the tournament field is littered with players who for all intents and purposes are not active in the game. Joel DeRoche very well might be the best pitcher the game as ever produced but he has not been an active player for the better part of a decade. It is impossible to know what to expect from him or the upwards of two-dozen other players who fit that bill. I would never underestimate a Joel DeRoche or a Jim Balian after what we have all seen them do on the Wiffle® Ball field over the years. It would not totally shock me to see some of these players return to their old selves under the bright lights in Frisco. Time and age do not discriminate, however, not even for the legends of the sport. How well the legendary players perform after significant time away from high level competition will be one of the – if not the – most interesting storylines to follow this weekend. 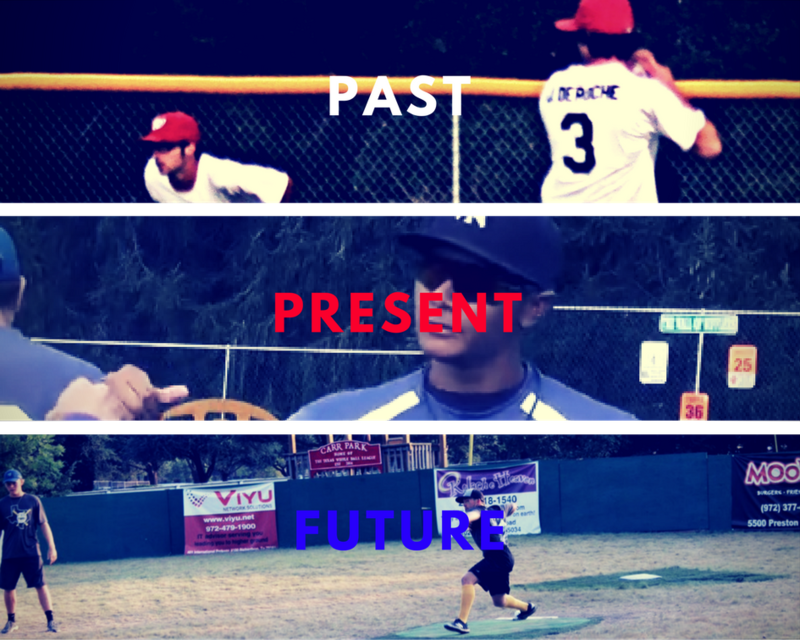 Of the teams expected to participate, only three can definitively be considered active, full time teams – Freaky Franchise (NY), Master Batters (TX), and Jager Bombers (TX). The rest of the field are either teams from the past reuniting – GSW as one example – or teams specifically constructed for this event. The lack of participation by full-time, active teams at the Texas Open is impossible to miss. This is partially a side-effect of the current environment where the team unit simply isn’t as important as it once was. It is a players’ game now and the Texas Open field reflects that. Perhaps this is an inconsequential detail. Talent usually triumphs over everything else so perhaps team chemistry really does not matter all that much here. Certainly, if one of the active regular teams – like Freaky Franchise – were to win by defeating a field of veritable all-star teams and re-united squads, that would be a major feather in their cap. In some respects, full time teams have more to gain than any of the makeshift teams by winning the event. There might not be many active teams at the Open, but there will be plenty of extremely talented active players to keep an eye on. That list starts with Jordan Robles. Robles has already had an impressive 2017 season, leading different teams to the semi-finals in Palisades, finals in GSWL Yard, and to a championship in the Mid Atlantic. Those accomplishments – along with undeniable talent on both sides of the ball – make Robles one of the best players currently in the game. Robles’ teammate for the Texas Open, Anthony Didio, is also in that discussion. Didio has unreal power as evidenced by his .340 ISO this year in Palisades league play. Will Marshall of Frisco’s own Master Battershas top level stuff which he will get to show on a national stage for the first time on Saturday. While much attention is being paid to the big names of yesteryear returning for this event, it would not be at all surprising if the Texas Open is owned by one of the immensely talented young guns that will be in attendance. Those natural conflicts – youth versus experience, active players versus non-active players, full time teams versus all-star teams – simultaneously make the Texas Open both fascinating and nearly impossible to put a finger on. Like everyone, I have my suspicions on how the tournament will play out but would not dare go public with them. Not in this instance. On paper the Texas Open is unlike any other tournament I can remember and very tough to predict. What that means for the actual tournament itself remains to be see, but it will no doubt be exciting to watch it all unfold! Not attending the Texas Open? Follow along courtesy of “The Drop” from Mid Atlantic Wiffle. The Drop – the news and commentary branch of MAW – is the official home for live and post-tournament coverage of the Fast Plastic Texas Open. Make sure to check The Drop throughout the day on Saturday for live game recaps and commentary. Also stayed tuned to Twitter (@midatlanticwiffle and @fastplasticwiff) for additional live tournament updates. After the tournament, check back to The Drop for exclusive written, video, and audio coverage.